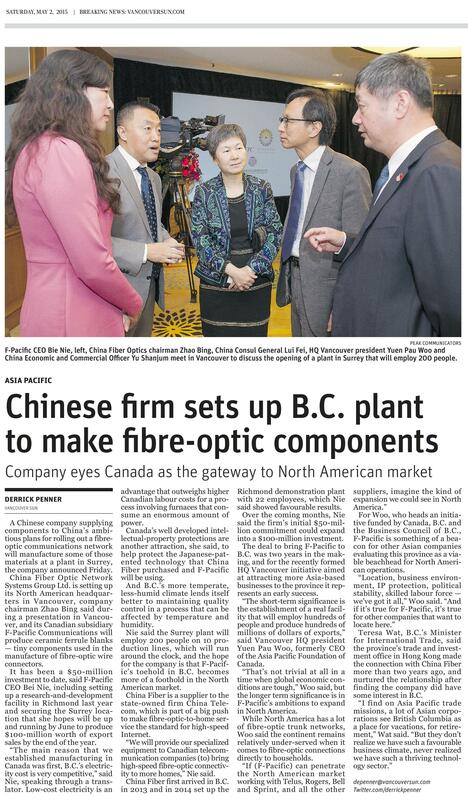 F-Pacific Optical Communications is the Canadian subsidiary of China Fiber Optic Network System Group Ltd. (CFONSG) – China’s largest manufacturer of fiber optic connectors. 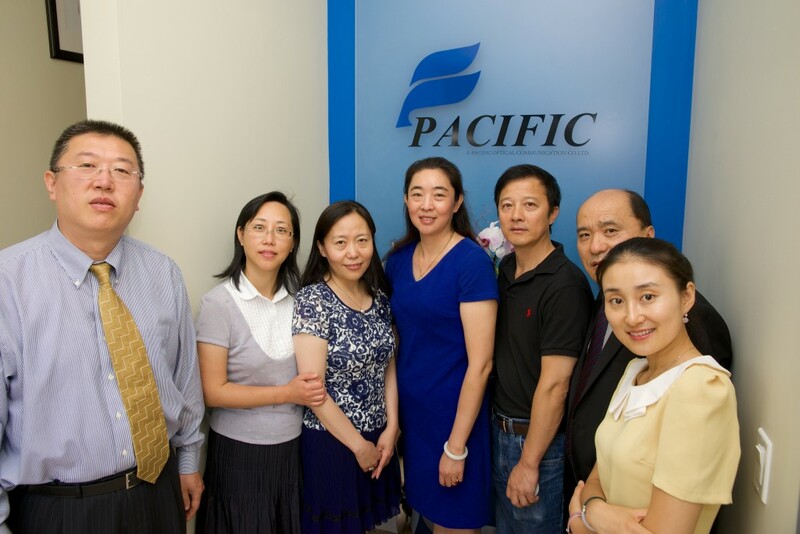 F-Pacific Optical operates the first zirconia ferrule blanks production line in North America. It is the only company that has this unique technique to manufacture these ferrule blanks, which are universally used in the expanding fibre optic market. Fibre optic technology allows for faster internet speeds than any other infrastructure and is being adopted by major telecommunications companies across Canada. Peak was engaged to announce the opening of F-Pacific’s North American head office in Vancouver with a news conference. Peak executed a two-month-long media relations campaign focusing on the opening of the company’s China Fibre Optic Network System Group North American Head Office – F–Pacific Optical Communication office in Vancouver to raise the profile and build reputation for F-Pacific in both Canada and China to create business and investment opportunities for the company and its products while attracting the most skilled employees available. Peak targeted local news outlets, specifically business and Asian media. The outreach was also targeted at technology trade publications. Peak worked closely with HQ Vancouver to manage the strategic logistics of hosting ministers from the federal and provincial level to take part as speakers at the news conference. Peak was also engaged to media train the CEO and key spokesperson for F-Pacific. 50+ pieces of earned and owned coverage in top tier local business media, Asian media and trade publications. 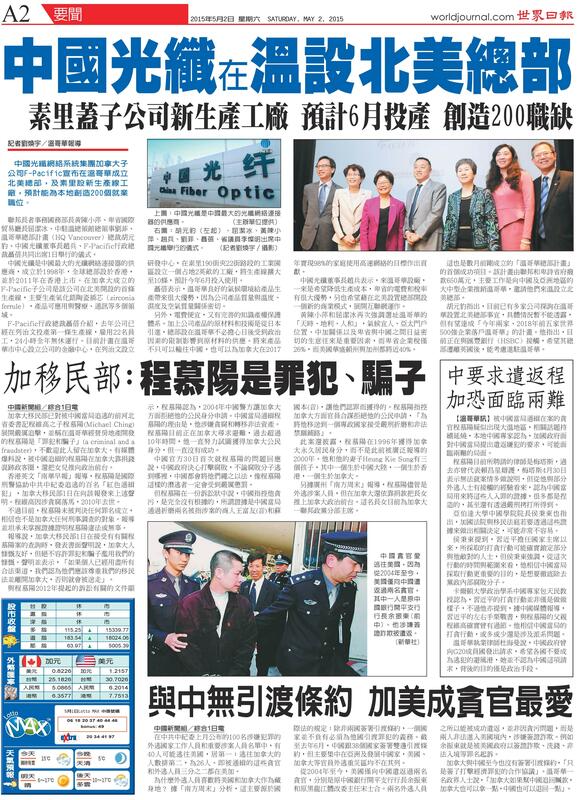 Coverage included placement in The Vancouver Sun, Business in Vancouver, Global TV, Fairchild TV, OMNI, Sing Tao, Ming Pao, Tech Vibes, and Canadian Electronics.